Love this building! Very different from the Parliament buildings in Canada, but an intriguing design. Inside is a hall with marble and wood from various parts of the country. Oh yes – and a great gift shop. In the past six months or more Lisa has visited most of Australia’s capital cities. All of these trips have been for work, but Lisa is also very good at squeezing in some shopping, dining, museuming (is that a word?) and other down-time activities around the edges of a crazy work week. Her Oz tour (Hmm… Profapalooza needs a cool t-shirt; perhaps our next contest?) started shortly after our arrival. Stop 1 was Canberra, which is just a short (2.5 hour) drive from Wagga. This is also a regular shopping work haven for Lisa, as she’s been appointed to the Australian Research Council this year. Her first trip included lunch at Parliament following a tour of the Parliamentary Library (yes, the politicos were in the house having lunch and yes, they serve meals on their very own special china! Very cool — at least for geek librarian types). Regular readers may even remember that Lisa had a real rock star moment on this trip — a live (20 minute!) 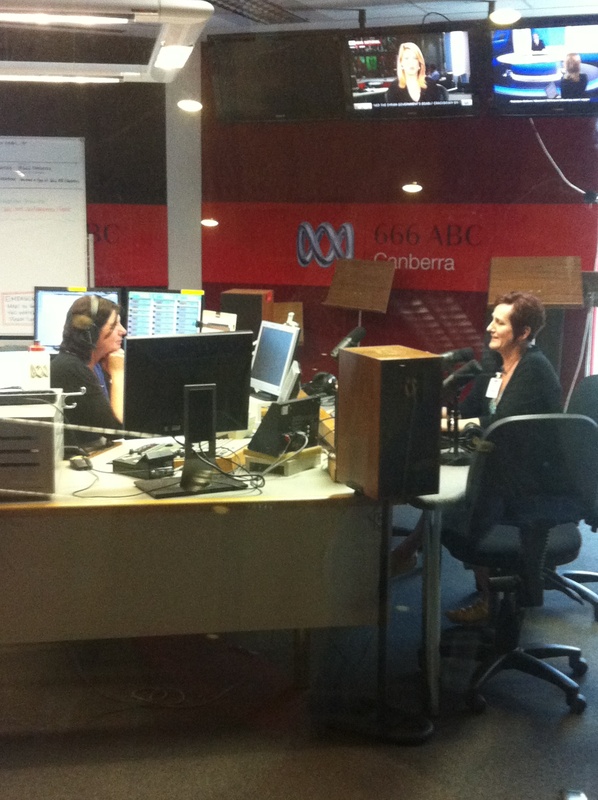 interview on ABC radio! A true rock star moment! Note that the ABC’s call number is 666; who knew that Iron Maiden owned a radio station in Australia? Melbourne became stop 2 on the national tour, visiting the state library, meeting with staff at RMIT, meeting with a colleague at Deakin, and other cool prof-like activities. Of course, this included a major shoe-shopping excursion to Sole Devotion. Yes, Lisa does have some work-life balance (“work hard, play hard… especially if that involves Fluevogs”). We had been to Sydney a couple of times before we moved, but Melbourne was new territory – and it reminded us of Toronto (the street cars helped, as did the little alleys with cafes). The city is also home to some fabulous restaurants, including Movida Aqui and Cumulus, Inc. — two favourites that we will visit again, for sure. Stop 3 on the tour was Perth in February. This was a formal ALIA accreditation visit to assess another uni, along with a visit with a colleague at Curtin University – this time, a close friend of ours who moved from U of Alberta in the exact same week (!) that we moved from Canada. The fates were aligned on that one… resulting in a great dining and site-seeing companion for the future! 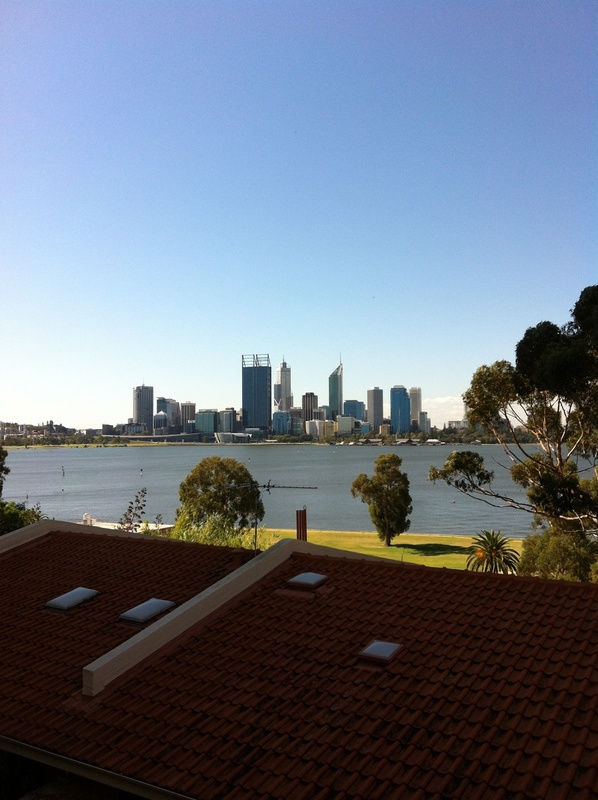 And Perth is a really interesting city; there are beaches, different birds and lots to explore in the surrounding area. We’ll definitely be back. On the flight there (from Sydney) Lisa was even reminded of Canada, as the plane was filled with young burly men heading to the mines (in Edmonton, that would be the oil fields). She was also introduced to Weis bars (mmm…mango/cream ice cream bars!) on the Qantas flight — just a free little treat at the halfway point on the journey. She also thought it was quite funny that the Aussies were really gearing up for the flight (it’s about 5 hours), bringing along pillows, picnic baskets with food for a week, and other gear that one might expect to find on a long-haul international flight. For someone who used to fly for 4 hours to Toronto as the first leg of her journeys — and who now needs to fly for 13+ hours to get to her home country — Lisa found this all quite amusing. Watch this space for part 2 of Lisa’s Oz tour. Up next? Adelaide and Brisbane! 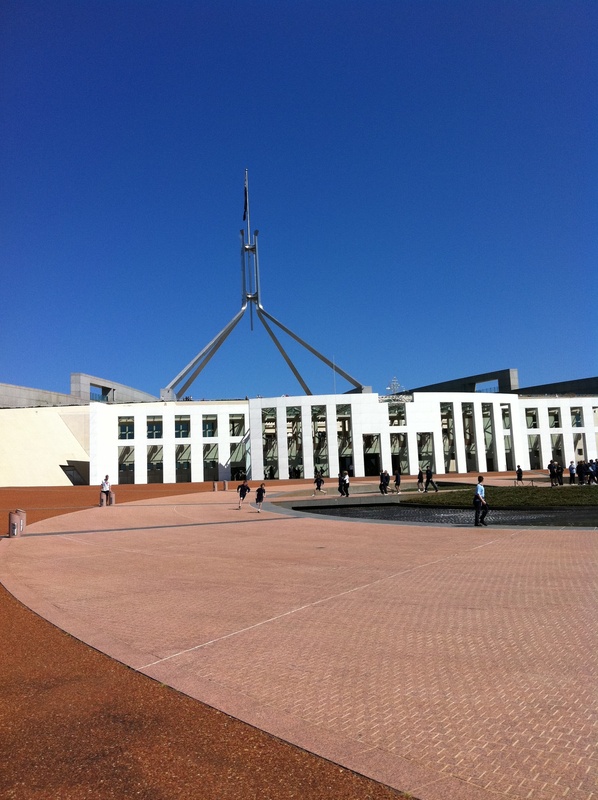 This entry was posted in Canberra, Melbourne, Perth, travel. Bookmark the permalink.